It is that time of the year again. E3 has come and gone, and all those melodramatic gamers are at this very moment in time still in a state of shock and awe (and mild dampness in their trousers) having been given a preview of how they will be spending most of their waking hours over the coming years. As the resident bird in anger, I must endeavour not to be stunned into silence at the epicosity of this year’s conference, but report up on what went down and why. Welcome, ladies and gentlemen, to a poor man’s attempt to condense the infinite awesomeness of the 2012 Electronic Entertainment Expo into a single blog post. E3 2012 kicked off with green smoke and the new trailer for Halo 4. The 7 minute trailer, mixing live-action with gameplay footage, certainly followed the trend of seriously epic that has made the Halo series one of the most successful for Microsoft’s Xbox platform. That said, it looks like the game is turning a bit darker and scarier with glimpses of forerunner technology and new enemies. The gameplay seemed familiar and both Halo fanatics and newcomers alike will have no trouble getting used to the controls. The interface was nice and the graphics were certainly on par with the latest flagships, so no surprises there. The video gave just enough perspective to get us interested in the game, revealing that it is set four years after the end of the war on a distant planet that Master Chief landed on after the end of the Halo 3. The trailer and gameplay also told us that the ancient forerunners will be playing a big part in the game, and if the weapons that Master Chief is using are anything to go by, this is definitely a good thing, as well as tying up a story that has spanned the best part of eleven years. Halo games have always been a staple of sci-fi shooters, and this next installment certainly doesn’t look like it’s going to disappoint. Following shortly after came the announcement of another cross-platform sequel from Ubisoft in the shape of Tom Clancy’s Splinter Cell: Blacklist. This trailer genuinely made me want to get this game and start increasing the atmosphere’s lead content. I am a fan of tactical cover shooter games where a little bit of planning is required before all hell breaks loose, and the latest Splinter Cell seems to offer this. The gameplay footage showed a fluid and deadly combat system that no gamer will have trouble causing havoc with, as well as a plethora of stealth options and target marking which allows you to take out large numbers of hostiles quickly, quietly and above all awesomely. This being a cover shooter, the movement mechanics looked seamlessly fluid allowing you to be very efficient. As expected from a Ubisoft title, I even noticed a hint of Assassin’s Creed in the climbing mechanics, but either way it looks to be brilliant. Furthermore, Sam Fisher has been promoted to the head of the newly formed Fourth Echelon, meaning you now have many more support systems at your disposal as well as highly advanced intelligence which can be easily accessed through the Kinect integration on Xbox 360 meaning you don’t even have to look up from combat. This is definitely one of my top 3 games of the expo, and I am looking forward to its launch across PS3, Xbox 360 and PC in spring 2013. Another big title to be announced by Microsoft was a fourth installment for the Gears of War series, entitled Judgment. Despite its original name, the trailer certainly had me curious as to what was going to happen in the game. I am not a big Gears man myself, so the fact that it even got into this post is a credit to Epic Games. The trailer showed only snapshots of action and was set to the daunting soundtrack of an American military reading a list of charges against the main protagonists, showing dark corners of a ruined courtroom, a rocket and many artistic angles of the lieutenant’s backside. What we can expect is lots of impossible missions, plenty of action and miles of locusts. This may not be quite my kind of game, but certainly one that fans will spend many hours enjoying. The game I have really been waiting for is next on my list, and easily makes it into my top three games of E3 2012. It is of course Forza Horizon, the latest edition to Microsoft’s answer to Sony’s phenomenal Gran Turismo series and pretty much every racing game aside. Up until now, Forza has been a dedicated racing simulator similar to GT and arguably the best of them al. The immense driving mechanics and physics involved were always brilliant, and, as gaming progressed, so did the graphics until it looked faultless in last October’s Forza Motorsport 4. Up until now, the Need For Speed crew held pole position for street racing and more arcade style racers that I enjoyed as much as the serious Forza titles of the day. Now, developers like Playground Games have decided that as EA crossed the border and released more sim-heavy games such as NFS: Shift, they should return the favour and bring some of the Forza magic to the streets. Forza Horizon is based around a massive music festival in Colorado, and you as the driver are racing to get there in time for the start. As with any game, things are not as simple as they may seem, as along the way you shall encounter some interesting problems. This is starting to sound a little familiar, but my worries have been set aside by the trailer unveiled at E3. It doesn’t quite have the same challenge aspect as NFS: The Run, and nor does it come close to the sprawling islands of Test Drive Unlimited, but is showing undertones of Burnout, a series that has been largely untouched since the TDU­-esque Paradise met critical acclaim in 2008. The amalgamation of all these genres added to the precision and reputation of Forza in an open world setting means that although this is far from what I was expecting, I am still very excited to see what the end result will be. I have high hopes that maybe, just maybe, this will be the be all and end all of street racers. The final game to go on my top three games of E3 this year is of course Assassin’s Creed 3, another title from the guys at Ubisoft Montreal. I wrote an article a couple of weeks back expressing my hope that the Assassin’s Creed series hadn’t peaked too early and that AC3 would live up to expectations and more, and what we saw at E3 means that it most certainly will. The game takes place during the American civil war, and gamers take control of a new assassin who goes by the name of Connor Kenway. Connor is half Mohawk, half English and half angel, and somehow that makes perfect sense. The story takes place across thirty years across New York, Philadelphia and Boston, as well as the high seas and the vast frontier. From the various videos I have seen, Ubisoft has continued to innovate to make the original AC formula seem fresh and exciting. Little details such as horse drawn hay bales that you can jump into as well as the static ones are the kind of thing I was hoping for, and the little things like that will continue to make this game just as good as we are hoping. New combat mechanics such as hiding round corners and the Mohawk axe replacing the sword combined with refined assassination techniques exclusive to this new assassin were shown in the gameplay footage, as well as continually stunning graphics which have been upgraded to include weather changes and seasons. Assassin’s Creed has provided the combination of mind games with sheer awesome combat that was serious and yet bags of fun for many years now, as well as a story that has always had me craving more. From what I can see, this latest installation shall continue this trend and will probably become the best AC yet, and for that I’m thankful. I have been saving the best pair of games for last, and despite the fact neither made it onto my top three, they are probably the most significant and impressive from this year’s E3. I refer of course to Watch Dogs and The Last of Us. Watch Dogs had me intrigued from the moment I first saw the trailer. I was genuinely perplexed at what this game was about. To me it looked like a campaign against internet information and only at the end did I realize it must have something to do with the ability to control the ctOS system. The gameplay footage shown at E3 confirmed this, as it showed a guy in an oversized coat controlling various electronic elements of his environment to achieve his goal, which turned out to be killing someone named Joseph DeMarco, a guilty man who was nevertheless acquitted for soliciting murder. I am very curious to see what Ubisoft has come up with here. It may well be the next big hit and is certainly unique in its own right which is why it is so important could this become the next Assassin’s Creed as the final installment is set for later this year. The gameplay also gave us a bit more to try and piece some logical plot together. The main protagonist Aiden Pearce seems to be well acquainted with killing, but his interaction with civilians during the firefight suggests some kind of anti-hero. Either way it seems to be open world, set in a city modelled closely on Chicago, the graphics look so phenomenal that everyone thought they were from the next-generation of console gaming until Ubisoft confirmed to Joystiq that the game would make an appearance on at least the PlayStation 3, Xbox 360 and PC, and it is very new, with a launch expected next year, so I will be following intently developments in this new title. It is exactly what makes E3 so good – we talk in depth about the games that we are looking forward to hearing about, and then someone like Ubisoft comes out and stuns everyone with a brand-new IP. 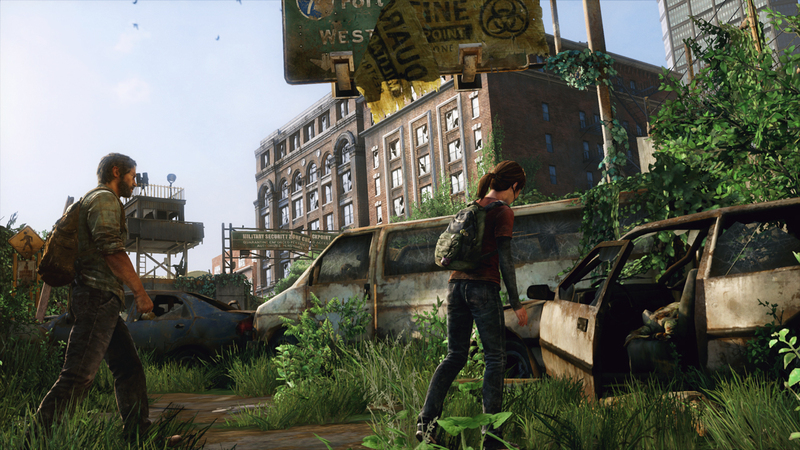 While gamers continued to swoon over the announcement of Watch Dogs, Sony’s conference began, but they stole the show at the end of theirs with the unveiling of the first gameplay video of the other of the important games, Naughty Dog’s The Last of Us. From what we know so far, it seems to follow an I Am Legend-esque theme with an over run city and few surviving humans each willing to kill the other at the drop of a hat. The infected that stalk the land run fast and are agile but can’t speak. They certainly aren’t your conventional zombies, but they will do the job and they are a nice change from the stereotype, perpetuated by Ubisoft in the trailer for ZombiU. The initial idea came from the cordyceps fungus which attacks only one type of ant, driving it insane before killing it by growing out of the ant’s brain. The idea for these infected is similar, only applied to humans. Check it out on the BBC’s Planet Earth if you want more info, but despite the sci-fi nature of the infection, it is real, and kudos should go to Naughty Dog for staying true to science. The character you play is an aging man with a beard accompanied by a teenage girl who never experienced what the world was like before the epidemic. 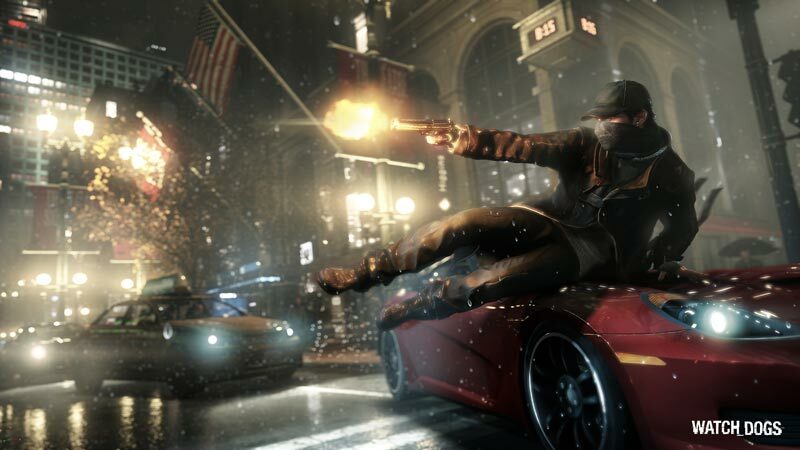 The game is certainly as juicy as Watch Dogs and the short gameplay footage available shows a cover system, intense and brutal combat and limited supplies. This looks to be a heart-pumping game that might follow a familiar formula, but will be delivered in a way never seen before that will make one hell of a game. Naughty Dog, despite their pedigree of success with the Uncharted series, has shocked the gaming community with the quality of this release, so I have no idea what will happen when we actually get round to playing this. The graphics look very pretty, and although I can’t quite work out if it is open world yet, the ways in which you could tackle any one building look numerous. The developers say that they want this to be about the emotional experience between humans in this terrible post-apocalyptic city of Pittsburgh and beyond in the journey across America, and I am sure that we will be treated to a cinematic experience that will leave us empty at some points as we connect with the characters and what they must do. Either way, it looks awesome and will definitely become the next Alan Wake, if not more. At this point in time, the letters on the keys of my keyboard have been rubbed away by the repetitive keystrokes required for this article, but little else can be expected when one is asked to sum up E3. For those few who have not died or fallen asleep, I commend you and I shall continue to fly straight on with the last two major events of this year’s E3. Another awesomely humbling game is the long-awaited reboot of Tomb Raider. From what I saw of the new Crossroads trailer, it looks to contain a Far Cry-esque island with a very sinister side. In contrast with the previous games’ emphasis on open world decision, the new game is about as linear as you can get without it being Mario. As you would expect from such a major title, the graphics are magnificent and an action packed fighting mechanic with plenty of weapons and a seemingly half-decent plot line added into the mix should make a fun third-person shooter. It might not be ground breaking, but it is nice to see the old game revived in such a nice way, and it will certainly be a title to play and have fun with after I have finished everything else at least twice. Another very important game is the latest installment in the Call of Duty series. Black Ops 2 is taking a very different tone from its predecessor, as it is controversially taking place in the future. The opening caption of the trailer asks what happens to one’s highly sophisticated and deadly army of unnamed drones when the enemy can control them. I have a sneaking suspicion we might just find out, as the gameplay footage shows a grizzled soldier accompanying the president through a war torn city with drones flying overhead blowing everything up. After the comparative disappointment of Modern Warfare 3 compared to Battlefield 3, does this latest title deserve a chance? The gameplay looks very identical to all previous CoD games, but the new weapons and potentially interesting plot produces a compelling argument. The graphics were on par, and at the end of the day we all know it will sell better than probably any other game at E3 so why not. CoD games will always be good even if they’re not always great. The new technology will be fun to explore, and using unmanned drones to reduce obstacles to dust and smart jets as well as new age combat arms mean that I will definitely give it a chance and hope that CoD will get back to being good. I for one don’t want to put money on another wet fish. Last and most definitely least for me was the announcement of Xbox SmartGlass. This allows you to connect to your Xbox through your Windows, Android or iOS device allowing you to play music, surf the web and get interactive with movies and games through more than one channel. SmartGlass will certainly add to existing games and activities and is certainly a good idea, but by no means groundbreaking. It is simply an improvement to a system which is expected as technology becomes more and more accessible. The system will help games like the upcoming Madden and FIFA games, where voice and motion integration are the next improvements, as well as giving you another stat channel to immerse you fully in the gameplay. Before long it will be like playing real sport. It is good to see that Microsoft is still innovating because the Xbox has been serving gamers true for a very long time now and improvements like this could help shape the future of gaming consoles which, once the mould is broken, could provide gaming at a depth never before imagined. Finally I have come to an end of a battle that has raged for an entire day of my life. The Electronic Entertainment Expo this year was as massive as ever, and I have only managed to scratch the surface of what the industry brought to the table at the Los Angeles Convention Centre this week. Other notable mentions should go to Microsoft’s implementation of a strange singing being called ‘Usher’ to launch Dance Central 3, LocoCycle, Resident Evil 6, Matter for Kinect, South Park: The Stick of Truth and a game for Kinect called Wreckateer that looks to be some kind of voice and motion controlled Angry Birds rip-off which I can actually imagine having loads of fun with, especially if with friends. This looks to be a great year for gaming, and if this year’s E3 was anything to go by, video gaming will continue to blow our minds away. If anybody is bored this summer, it is because they are truly insane, and I am already looking forward to next year because to be honest I can’t even begin to comprehend anything more spectacular than this. After a good six hours writing this, I am the Angry Bird signing off until next year.